I've seen several reviews of this device and I know - I just know - that this non-review is going to be quite controversial. Thing is, the people that love this brand, really love this brand! 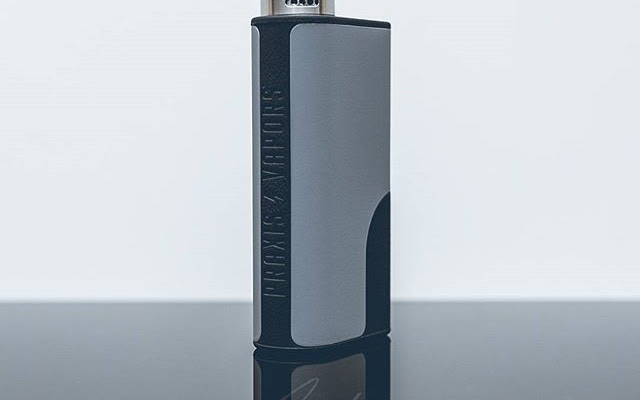 The Praxis Decimus is a very nice looking mod. It claims to have 150 Watts of power. It takes two 18650 batteries. It is lightweight. It retails around $90. That's it... that's the feature list in a nutshell. And an atomizer... a subohm tank, an RTA, an RDA... or two. Temperature Control: There is a large growing contingent of vapers that don't care for temperature control. It is a technology that may have over-promised and under-delivered. However, deciding not to include it in a mod at this stage of the game is plain silly. You can choose not to use temperature control if the mod comes equipped with it, but you can't use temperature control if it's not included in the first place. Since I'm seeing a lot of mods include it, I can't believe that it would be difficult to add in. LiPo Batteries: Yes, I know that swapping out batteries is easy, and I know that charging batteries in a decent charger is often better than charging them in a mod. However, LiPo batteries have the edge in safety and capacity and convenience. Wireless Charging: This is available on some Vapor Shark models, on the Aspire Pegasus (with a different kind of model), and on the Eiffel T1. I'm not saying that this should have been included, but that for the money, it could have been included. 200 Watts: I know, right... who needs 200 watts? For that matter, who needs 150 watts? However, if you really feel that you need more watts, they can be had for less than this. Innovative Design: But wait! The Decimus is pretty and has interchangeable panels so it can be customized. Yeah, so does the iStick 60, and the Zero. In fact, virtually every mod ever made can be customized to some degree by sticking on a skin or wrap. This is not innovation. Accessible Controls: Yeah... this is a head scratcher. In order to make the mod sleek, the put the controls in the battery compartment. That means in order to change the wattage, the battery panel has to be removed. When breaking in a new coil or changing to a different type of coil, you're going to need to be stationery or stopping ever couple minutes to adjust the wattage. There are other ways of keeping the mod sleek (dials and gravity spring to mind) without hiding the controls. An Atomizer: With the money you save buying a mod with the features I've listed can easily be applied to getting an atomizer to go on your mod. Furthermore, from what I'm reading, the device is only stable to .2 Ohms. My $35 iStick 100 is stable to .15 Ohms and cost $35. And, some are claiming that it is using Pulse Width Modulation to achieve higher watt ranges. Really? How 2014 of you, Praxis. And, finally, it's plasticy. Sure that makes it lightweight, but it makes me think it's cheap and easily damaged. When watching reviewers talk about other mods with plastic buttons or casings, that's the term used - plasticy - and it's a negative. How can it be a negative with something like the EHPro SPD A5 and a positive with the Praxis Decimus? In conclusion, I do not own a Praxis Decimus. No one has given me a Praxis Decimus. I will not buy a Praxis Decimus. What you are reading are only my opinions based on what I have seen. I mean, I really don't have a horse in this race at all... it just annoys me when a device is priced at a premium, and what I consider to be flaws are listed off as features, and when rehashing an old idea is called innovation.